* Can the children revisit their Diwali dancing routines in the garden studio using the 4 beat pattern? * If we make a gingerbread man to eat will the children notice and talk about the changes to the ingredients as they are mixed together and cooked? * What threads of learning are the children exploring when using the found materials in the play dough? * How will the children respond to the new atelier space in the garden studio? * If we introduce found materials in the outdoor classroom, how will the children incorporate them into their play? * Which children are able to retell the main parts of a story considering the beginning, middle and end of a story? * Are the children noticing change in the outdoor classroom? 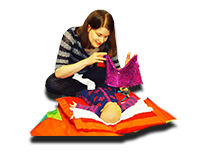 * What characteristics of effective learning are the children demonstrating in the Nursery environment? * Can we build on the children’s interests in fixing and joining by introducing hole-punches and treasury tags in the graphic classroom? * Will the children recreate their experiences of fireworks displays using paints and black paper on a larger scale collaborative piece of work in the creative classroom? * *Can the children recall their music and movement session based on fireworks and will they link movements they made with the movement when painting? * How will the children respond to their first introductory Forest School session? 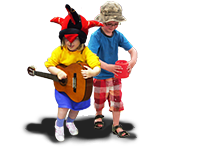 * How will the children respond to their first Literacy session focusing on rhythm and rhyme? * Now that we have introduced 2D shapes in our group time which children will notice these shapes in the Nursery environment? 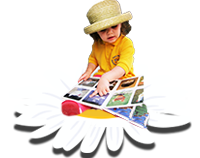 * Using their photograph from home, can the children talk about their families at group time? * What descriptive language will the children use when they are invited to complete a drawing of their family? * If we introduce more tubes in the sand pit can we encourage more collaborative play? * Following the children’s interests in musical instruments how will they use them if we place a selection in the outdoor classroom? * Can the children retell the story of “the 3 Billy Goats Gruff” using the small world resources in the outdoor classroom?